Trail 89 mm / 3.5"
Rear Wheel Travel 117 mm / 4.6"
Rear Wheel 5.00 x 17"
Ground Clearance 125 mm / 4.9"
Seat Height 787 cm / 31.0"
By late 1998, Erik Buell's lively and IK distinctive sports bikes had come a long way since the Wisconsin-based engineer and former racer's first model, more than ten years earlier. With their distinctive styling, upright riding position, tuned Harley V-twin motors and agile chassis, Buells had provided plenty of speed and handling along with more fun than just about anything else on two wheels. 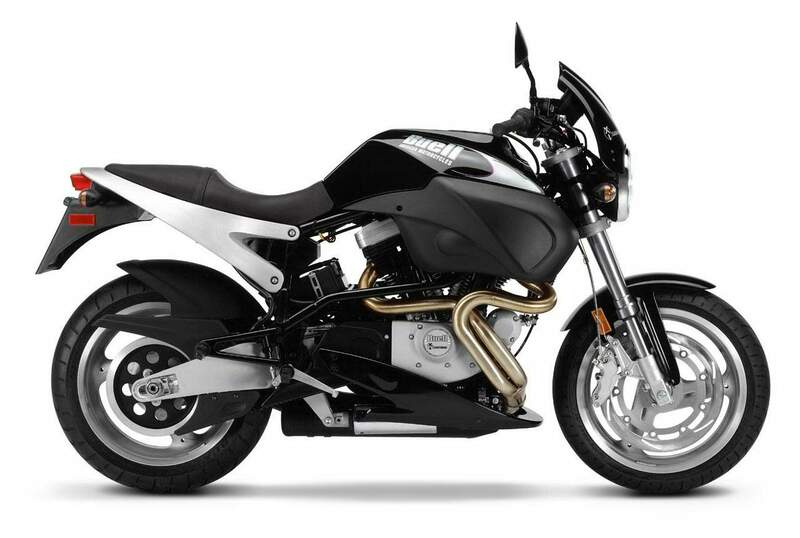 The Buell X1 Lightning evolved from the M2 Cyclone and features the same short wheelbase chassis, with Showa suspension on the early run base models, then WP kit on the later X1 Lightning, and souped up White Lightning variant. With more grunt than the M2 the X1 feels like more fun and the build quality improved somewhat as time went by, but the Buell X1 Lightning is still an acquired taste. The early base model Buell X1 Lightnings with their Showa suspension are generally better for mainstream road riders than the models featuring the more solid WP kit, although the Dutch suspension looks trick. There's no ifs or buts, the Buell bikes give you a firm ride and you can feel exactly what's going on with the road surface. If you develop confidence, you can corner reasonably quickly on the X1. The Buell X1 Lightning has plenty of lowdown grunt and the novelty of fuel injection as opposed to carbs on earlier Buells, but the injection doesn't work that well at low rpm, which is where the motor is definitely happiest. That's a damn shame, as are the other build quality issues which affect the X1 model. The Buell X1 Lightning demonstrated that Buell were listening to their customers - and critics - and trying damn hard to improve matters. But it still features details like a battery exposed to the elements under the seat, a crude transmission and a glitchy fuel injection system. The dashboard and switchgear never looked they belonged on a motorcycle costing £7500 new either.